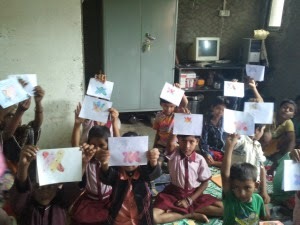 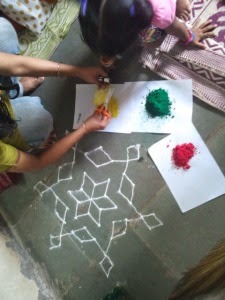 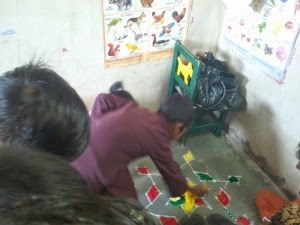 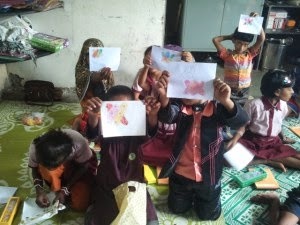 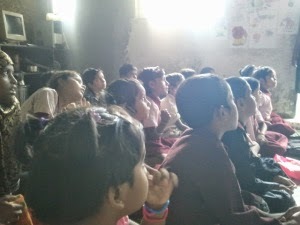 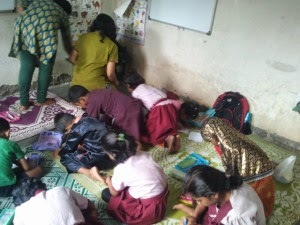 First – Thanks to both Project Crayons and Pratham Books. 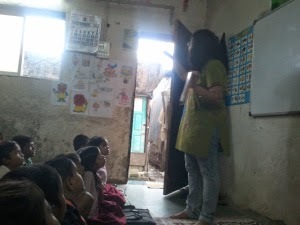 I started, first introducing myself, thanking Pratham and thanking Project crayon and then told them that I will tell the story in English and then in Hindi. 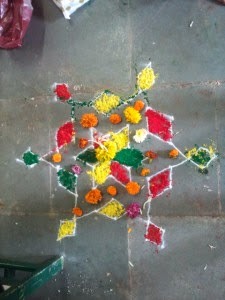 So there, I wasnt a flop I guess! 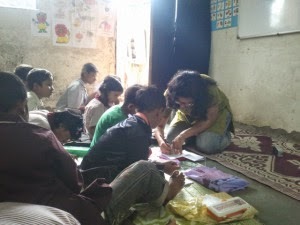 Thank you Rakhee for spreading the joy of reading!